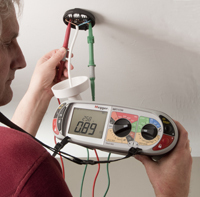 In response to the growing recognition of the benefits of 15 kV DC insulation testing, Megger, a world leader in portable electrical test equipment, has introduced two new instruments with 15 kV testing capabilities – the MIT1525 and the S1-1568. Optimised for use in the industrial and OEM sectors, the MIT1525 provides insulation resistance measurement up to 30 TΩ with an exceptional 3 mA of noise rejection, while the S1-1568, which has been designed for use by utilities and service organisations, offers class-leading 8 mA noise rejection – twice that of most comparable instruments – combined with resistance measurement to 35 TΩ and enhanced software filtering to deliver dependable results in even the most severe of electrical environments. 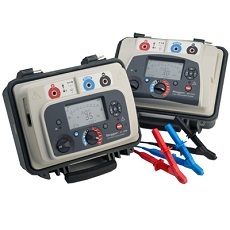 Both instruments can operate from internal rechargeable batteries as well as from AC supplies, making them an attractive and timesaving alternative to mains-powered DC hi-pot testers in applications where an AC supply is not readily available. The new MIT1525 and S1-1568 complement Megger’s well-established and popular ranges of 5 kV and 10 kV insulation resistance testers, which are also offered in OEM and utility versions. By extending the maximum test voltage to 15 kV, however, the new instruments facilitate compliance with standards that include, for example, NETA MTS-1997 Table 10.1, applicable to maximum voltage rating of equipment, NETA ATS 2007 Section 7.15.1 for medium-voltage motors, and IEC 60229 2007 for electric cables with a special protective function. Experience has also shown that dc insulation testing at 15 kV can detect many faults that are not apparent when tests are performed at lower voltages. These typically include fractured or crushed insulation, damaged cable outer sheaths, and insulation that has been degraded by corrosive or conductive contaminants. Like their 5 kV and 10 kV counterparts, the new MIT1525 and S1-1568 offer IR, timed IR, DAR, PI, DD, SV and ramp diagnostic tests, making them suitable for an exceptionally wide range of applications. Despite their versatility, the new instruments are fast and simple to operate – their intuitive user interface allows all major functions to be selected with two rotary controls, and their large backlit display allows multiple results to be shown simultaneously. As with all Megger instruments, operational safety is built in. All terminals of the MIT1525 have a CAT IV 600 V safety rating at altitudes up to 4,000 m, while all terminals of the S1-1568 have a CAT IV 1000 V safety rating at altitudes up to 4,000 m. In addition, the test leads supplied with the new instruments feature insulated clips that are specifically designed for 15 kV creepage path. A valuable additional feature of the new S1-1568 is provision for remote control via a fully isolated USB port. This, together with provision for internal storage of date- and time-stamped results, makes the instruments well suited for use in production environments. Stored results can be recalled to the display, downloaded via a Bluetooth wireless link or accessed via the USB port.